This isn't a new recipe to us, but it's a must have when we throw parties or attend family get together's & since we celebrated Big Brother C's birthday over the weekend, I just had to share this yummy party staple! In a large mixing bowl, mix together half of the can of black olives & half of the package of ranch with the cream cheese. Stir well, really well. Pour remaining black olives & ranch into mixture, mix again, really well. Everything should be blended into the cream cheese. Put a large spoonful of mixture onto each large tortilla & smooth out with spatula, spread across entire tortilla. Pull your plate out, then slice each tortilla roll & your done! Tip: If your having a larger get together or party, simply double your recipe for more deliciousness! 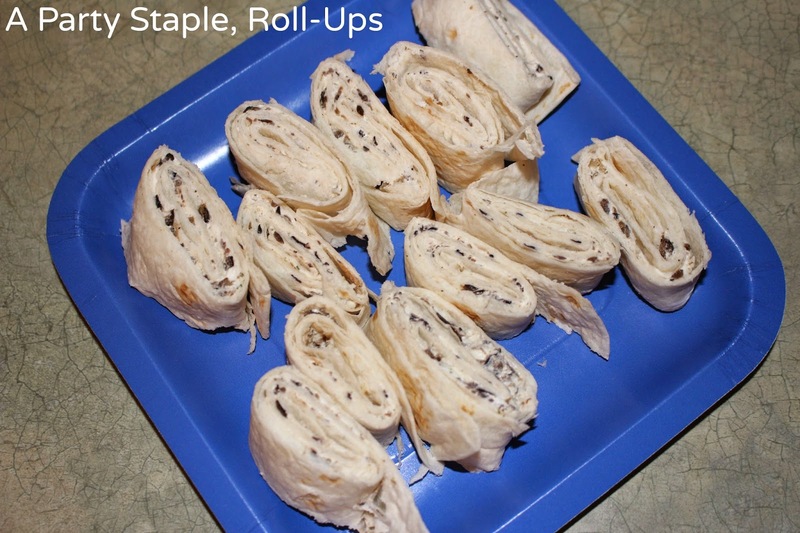 I have been making my "famous" roll-ups for years, every time we have a family gathering, a party to attend or host, these bite size babies get made, almost all of my family & friends love them! Oh! These look so easy to make and I love black olives! Thanks for sharing!